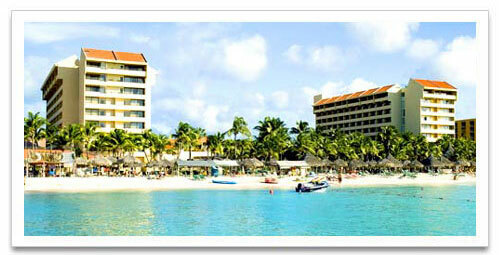 The Occidental Grand Aruba has 398 guest rooms and is located on beautiful Palm Beach. Deluxe rooms at the all-inclusive Occidental Grand Aruba feature either one king bed or two double beds along with elegant tile and marble floors and either a balcony or terrace. The resort features a large free form swimming pool with a swim up bar, hot tub, tennis courts, Health club, Kids Club, shops, convenience store, auto rental desk, babysitting services, and Spa. This resort has six restaurants and five bars. 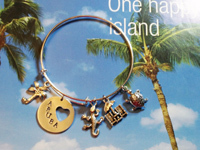 It features, The Palm, L’Olio, El Olvido, Zen, Desire, and The Beach Club. Studio Suites with beautiful ocean views have one full bath with tub and shower, hair dryer, alarm clock radio, telephone, dining area, fully equipped kitchen with dishwasher and microwave, iron and ironing board, private balcony, cable/color TV, telephone service, Wi-Fi access, in room safe. Some studios sleep two guests and other studios sleep four guests. One Bedroom Suite has private bathroom, living room and balcony. The living room has a fold out couch to sleep 2 (great for the kids), kitchen, separate full bath and balcony access 2 Bedroom Suites are spacious and sleeps 6 to 8 guests comfortably, with 3 baths.